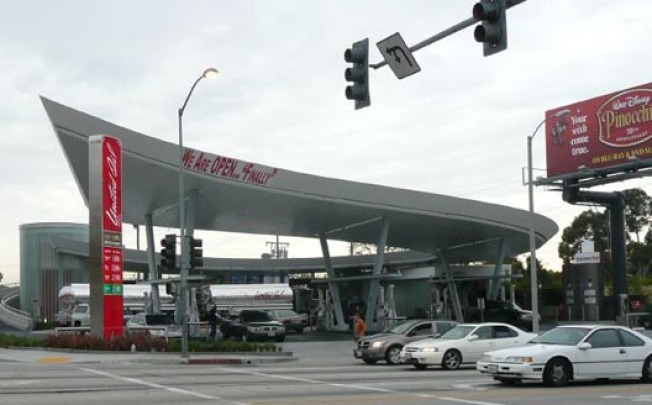 You can now pump gas in the future, the future (at least of oil) being Kanner Architect's much-awaited and long delayed (it was supposed to open June 2007) new gas station/car wash at the corner of Slauson and La Brea avenues, which opened this past Saturday. Last night, it was packed. Unleaded is $1.99 a gallon, the store part had an ample drink selection, and overall, the whole place has very clean, Jetsons-like feel.